We have some of the most experienced Staff in the Industry – and they are friendly too. They will give you the experience of a lifetime with an amazing view of the pacific ocean. The common goal of ensuring you have an amazing experience. Experience ranges between 4000 and 15,000 jumps. Female tandem instructors available too. We Settled on the brand new built for skydiving PAC-750XL turboprop. 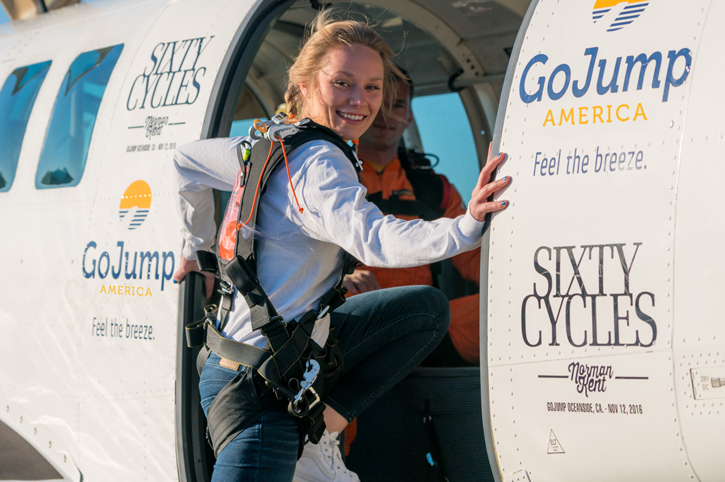 Spacious aircraft valued by our tandem clients and experienced skydivers alike. Fantastic views as you climb. Rapid ascent at 1000ft per minute! 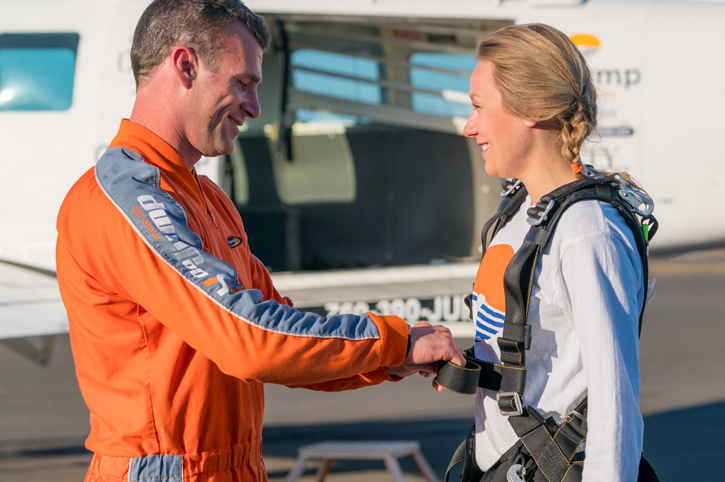 We strongly believe in investing in the best skydiving equipment for both your comfort and safety. 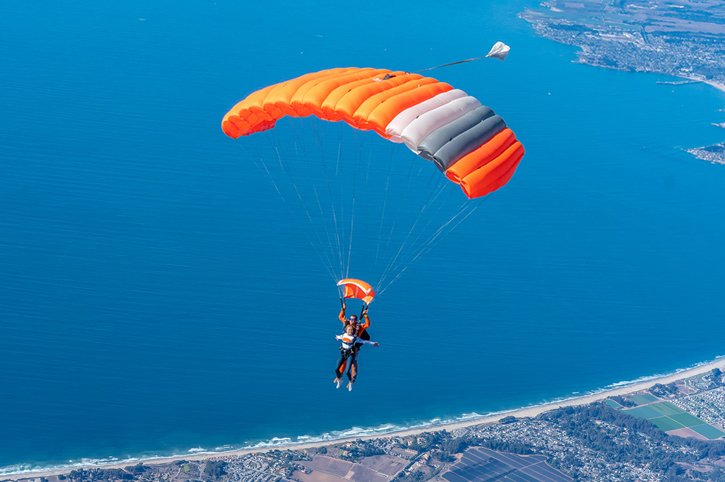 Dual control, letting our valued clients fly their parachute. Airtec onboard backup computers – proven leader. Strict logging with dedicated in house maintenance team.